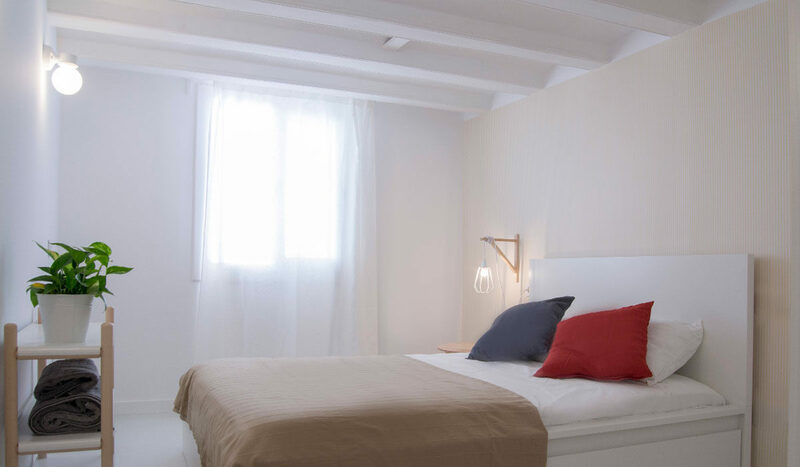 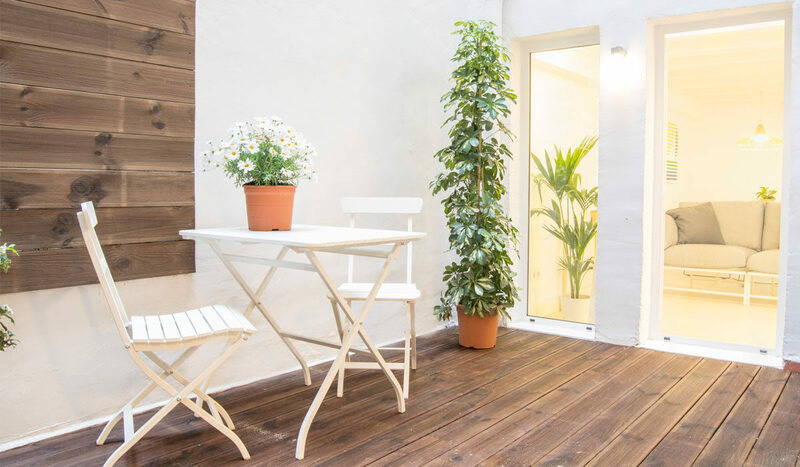 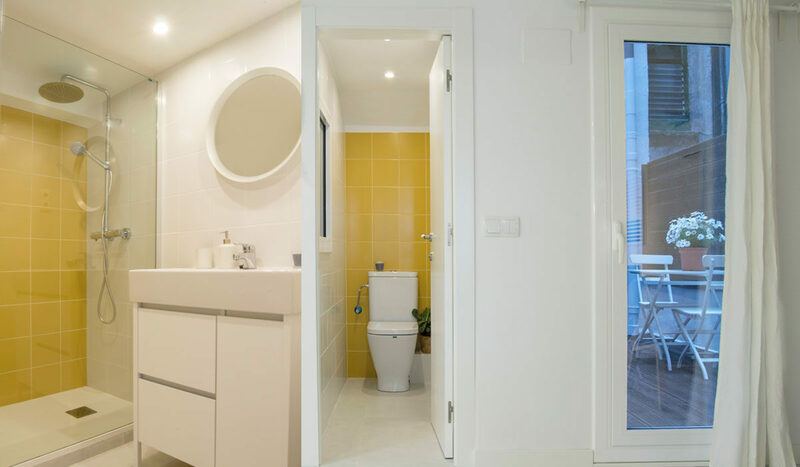 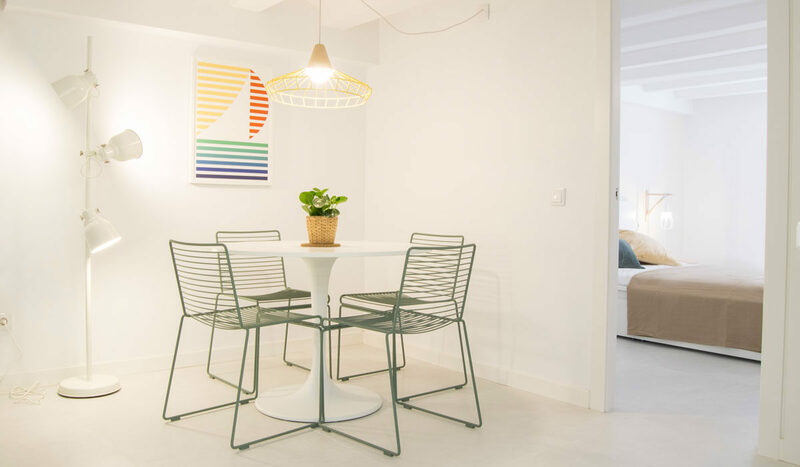 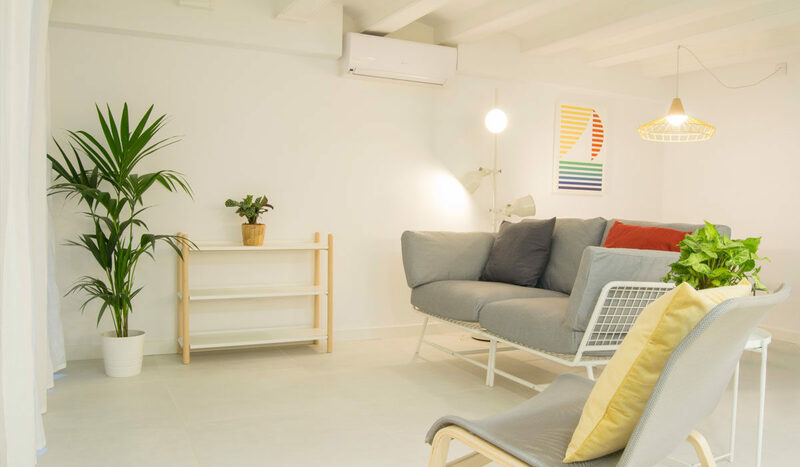 This nice apartment located in El Raval, in the city center, was specially designed to be rented. 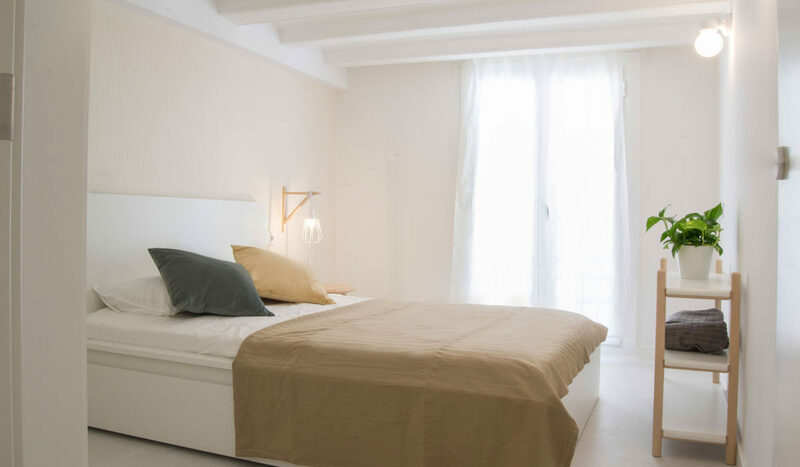 It has two comfortable double bedrooms and a nice living room with an openend kitchen and also an small patio. 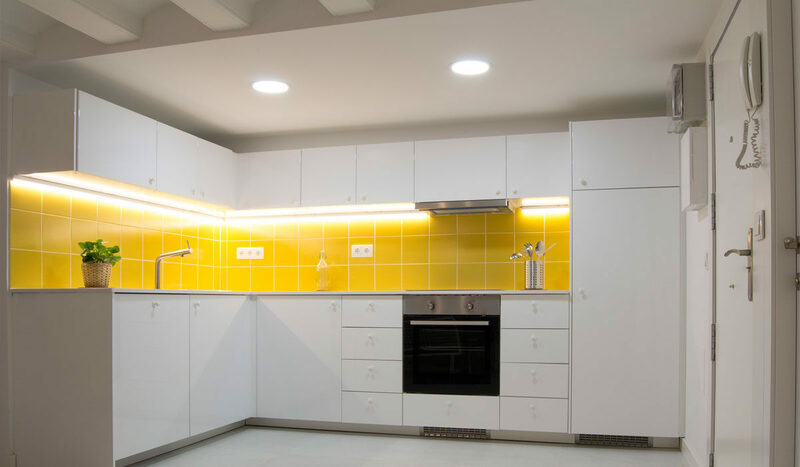 The white and yellow colors give to it more lightness and the distribution is very functional.